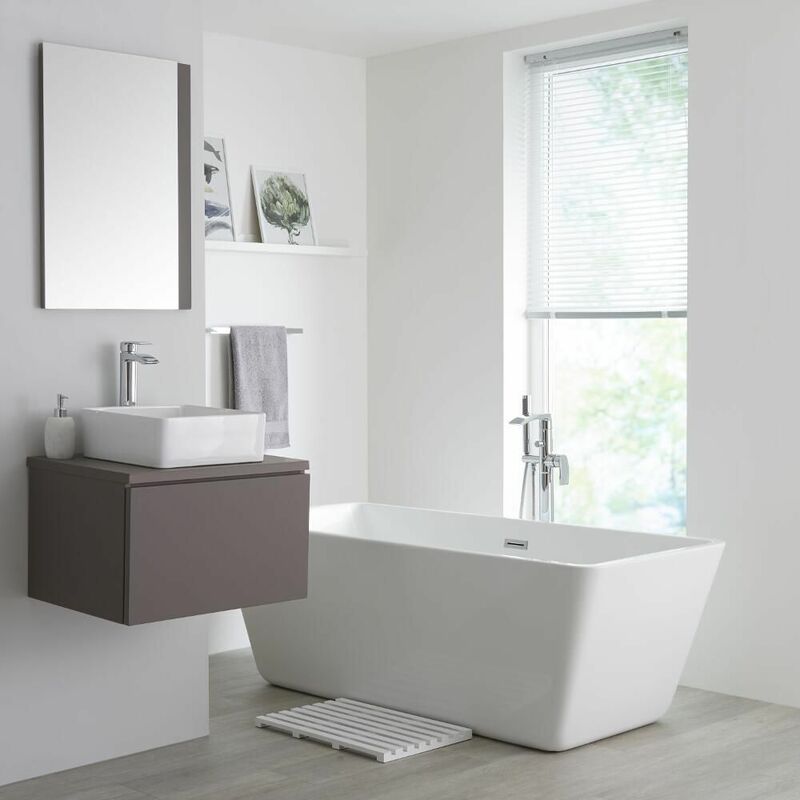 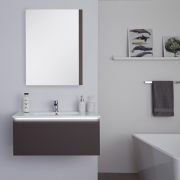 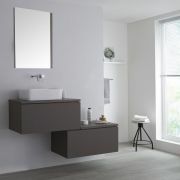 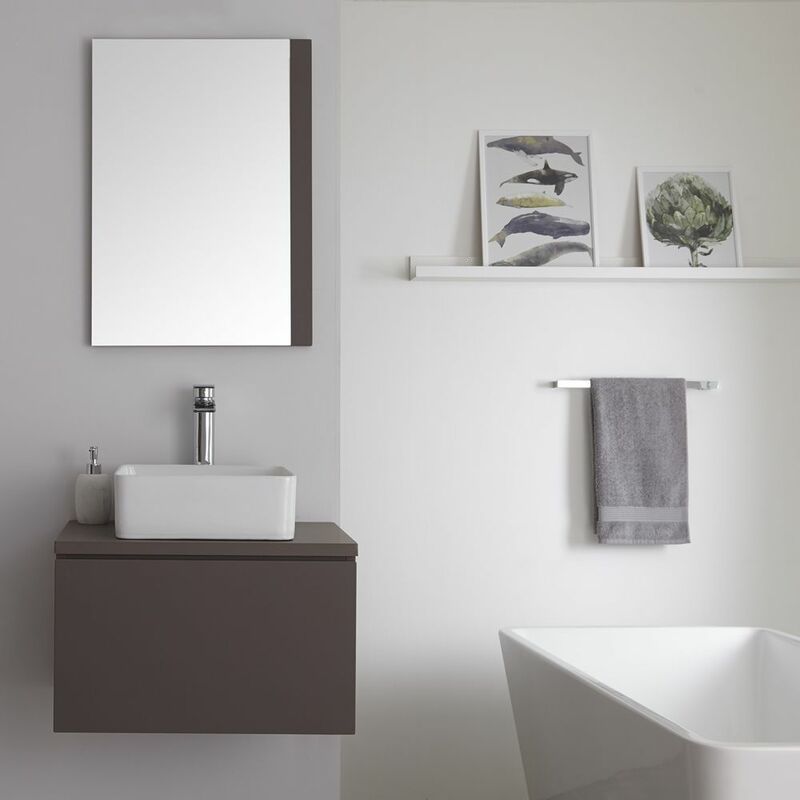 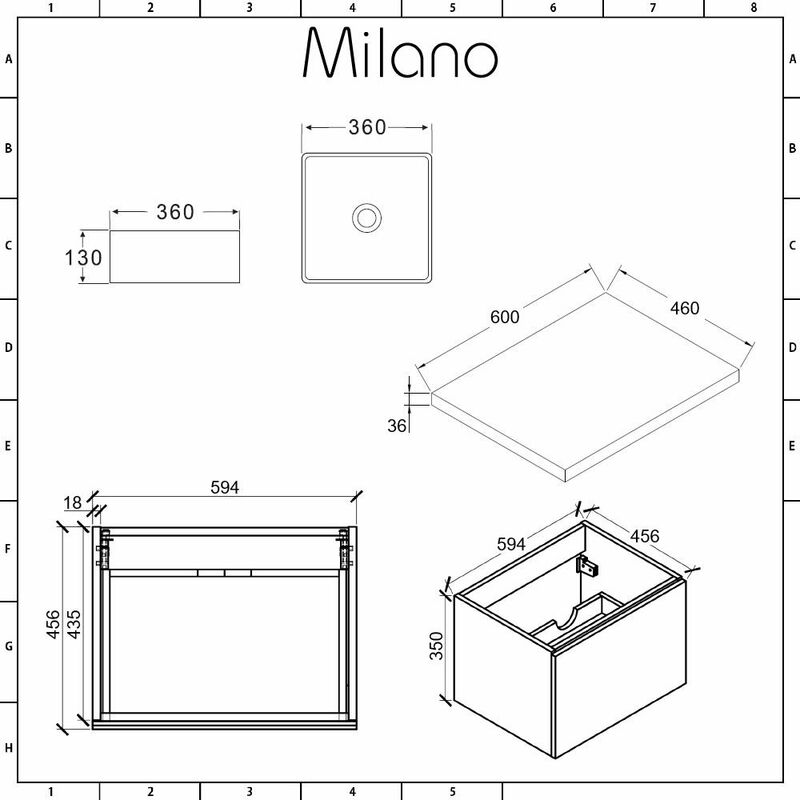 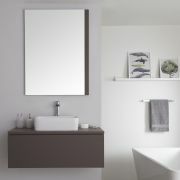 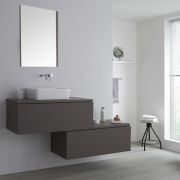 Make a modern designer statement in your bathroom and introduce a smart storage solution with the wall-mounted Milano Oxley 600mm vanity unit and basin. 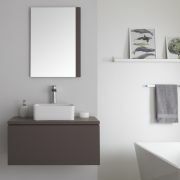 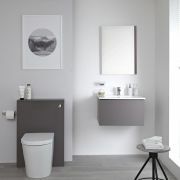 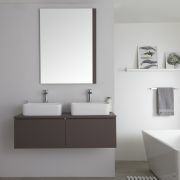 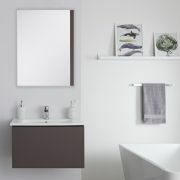 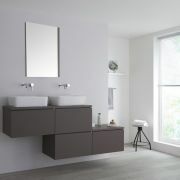 Featuring a spacious push to open soft close drawer to enable you to neatly store your toiletries and cosmetics out of sight, the Oxley vanity unit is finished in a striking matt grey. 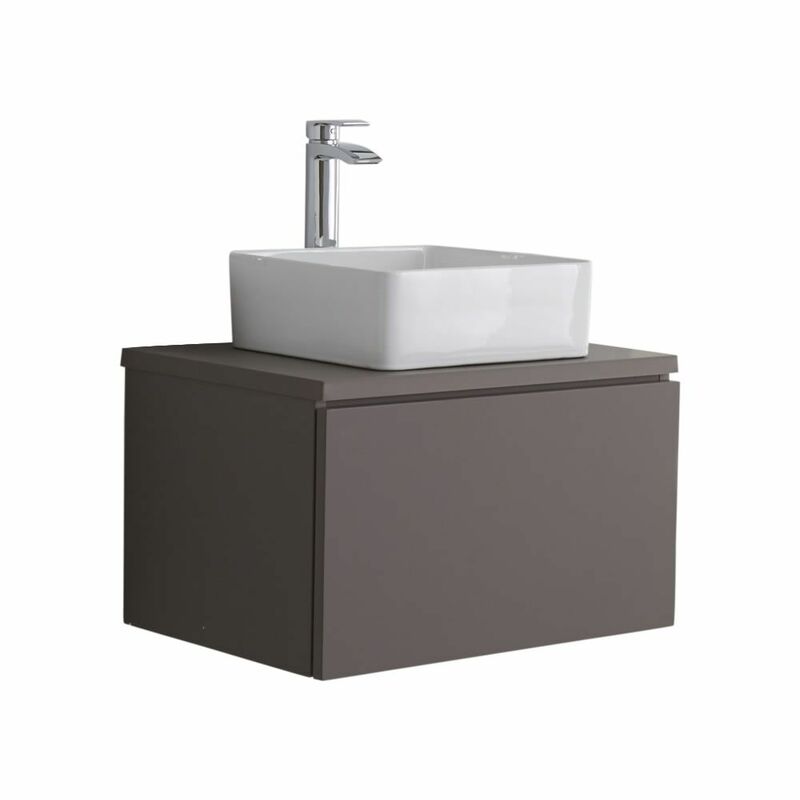 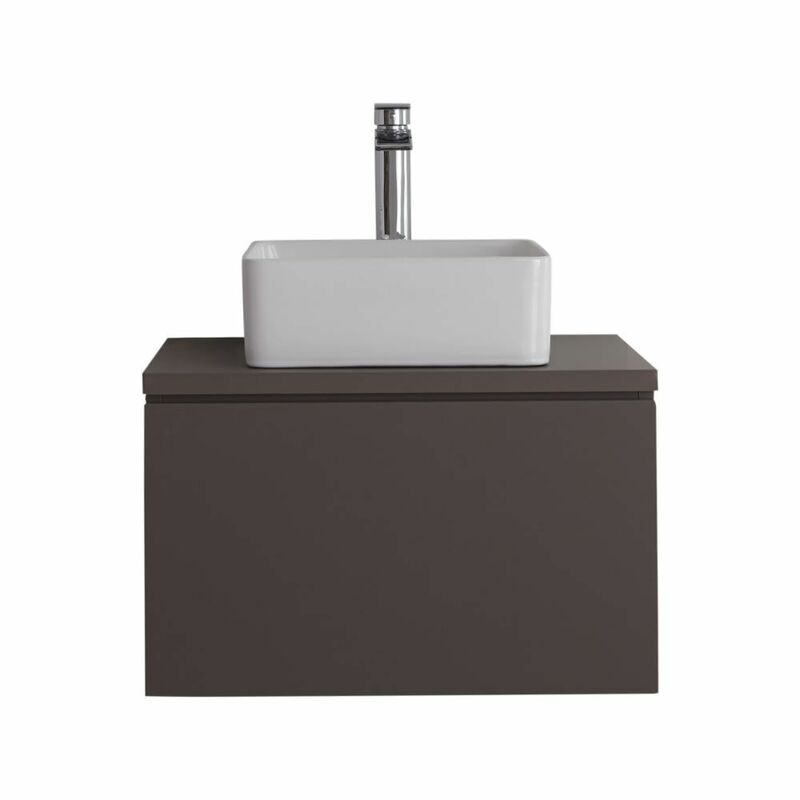 Made from moisture resistant engineered wood to provide both robustness and long-lasting durability, the look is completed by an attractive square countertop basin. 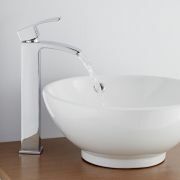 The high quality ceramic basin is finished with a hard-wearing white glaze to enable easy cleaning and doesn’t include a tap-hole, making it possible for you to pair it with any of our wall-mounted or high-rise taps.